I can't believe I'm typing this, but it's a cold (low 50s), rainy morning in southwest Florida... I even turned the heat on for the first time this season! The rain should stop soon, but I'll definitely be wearing fleece on my walk today. We enjoyed the rest of my SIL's visit... lots of beach walking, some shopping, and a couple of dinners out. Yesterday we visited Manatee Park but, with Gulf temperatures hovering around 70, we only spotted a few manatee. Last year we saw dozens, but this chilly weather may lead to better viewing next week. I found myself totally unable to concentrate on fiction this week. The news coming out of Washington was just too distracting. Perhaps a media-free mental health day is in order... maybe even one per week. For Rachel's read-along... Part II discussion is scheduled for February 6, but I'll post my wrap-up then instead. 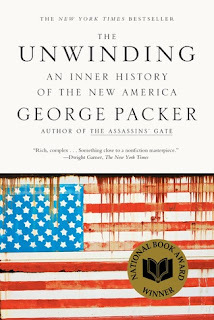 Overall, Packer's thesis is nebulous and the reader is left to form their own conclusions, but I thought it was very well done. When I said I haven't been able to concentrate on fiction, I meant this book. It sat untouched on the nightstand all week. I finally picked it up and read another chapter last night. The subject matter is a little outside my norm, but it held my attention and the writing is very good. The #PalliserParty is about to begin. Audrey even made a badge! I plan to start Can You Forgive Her? tomorrow. The ebook is on my kindle and the audiobook (narrated by Simon Vance) is on my phone, so I'm ready. 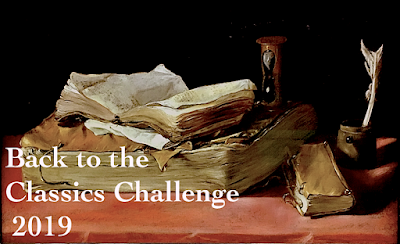 Look for a formal kick-off post this week... though the readalong will be anything but formal. With the weather suddenly cooler, I decided to make soup and ended up choosing a new recipe. This Creamy White Chicken Chili from Gimme Some Oven was delicious. I used frozen corn instead of canned, and will add a full cup instead of just half next time. 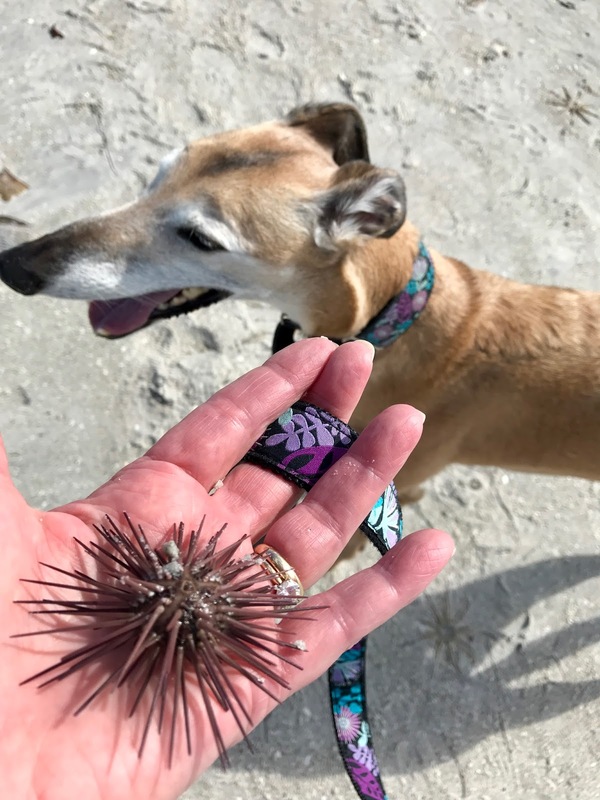 This week's beach find... a spiny sea urchin! The little creature was still alive, so I put him back. Zelda was unimpressed. Our oldest daughter arrives on Friday for a long weekend... I'm so excited! She'll celebrate her birthday with us on Super Bowl Sunday, and has a list of her favorite restaurants and shops ready. And there will plenty of beach time, too! 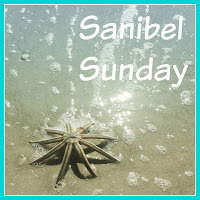 If I'm not around with a Sanibel Sunday post next week, you'll know why! How was your week? 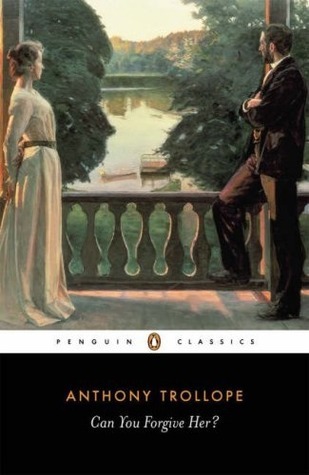 What are you reading today? It's cold where I live in Florida too, but it's better than the humidity we get in summer. 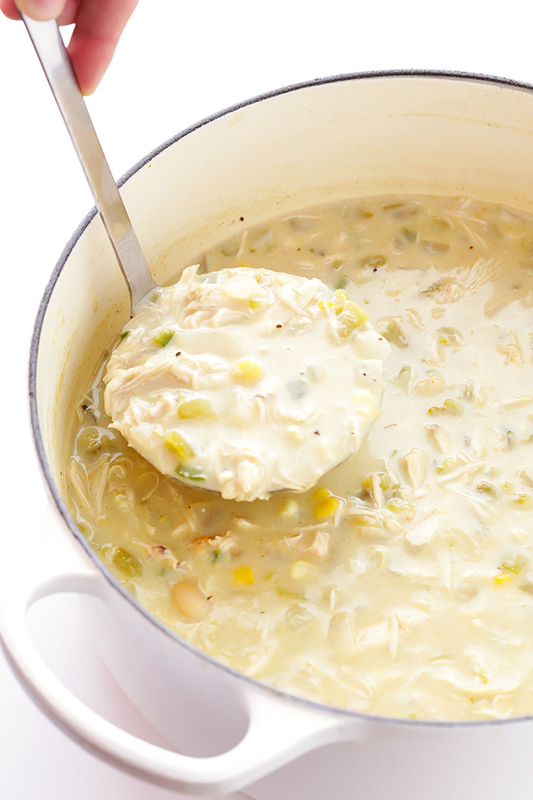 I'm pinning that soup, I love white chicken chili! I love the name Zelda, she sure is a beauty! Vicki - Friends of ours, originally from Buffalo, spent last summer here for the first time. They said they won't do it again! LOL. Super Bowl will be really fun with your daughter there! And I am betting there will be cake! I am finishing The Trophy Child...it is sooooo good! It's a very chilly Sunday here in Houston as well. Lisa - The Unwinding was a fascinating read... it gave me an inside look at unfamiliar areas of Youngstown, Ohio (a classic rust belt city) and rural NC and VA.
How great to enjoy your daughter for Super Bowl! Happy birthday to her, too. I love the look of that soup...yummy! 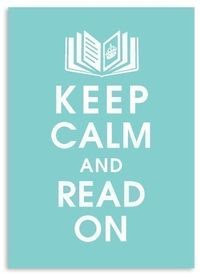 I hope you are able to concentrate on your books this week. A week free of news from Washington would be nice, right? Thanks for sharing and for visiting my blog. The spiny sea urchin is amazing. Laurel-Rain Snow - I'm not sure I could step away from the news for an entire week, but even a day would help! I'm similarly loaded and ready for the party! So happy to be reading wih you again. Audrey - I started the first chapter last night... so glad to be reading Trollope again! I'll post an invitation tomorrow. Loved the sea urchin. Enjoy your daughter's visit. I think a media-free time sounds perfect, for me anyway. I have friends and family with such opposing opinions. Makes me feel battered. Then I just want to bury myself in books, so I shall. I tried doing a news free weekend but I can't stop watching the news. Granted it's probably not good for my health! Hope you will have a wonderful time with your daughter. How fun. I love soups in the winter time especially so I have to check out the recipe. Iliana - I thought I'd be able to get a news-free day this weekend, but it was too hard to look away. The white chicken chili was good, and not too spicy. Susan - I continue to be surprised by the number of Hilary voters here... the islands even sent a bus to the march last week! A news-free day per week will be good for my sanity! We're cold here too and I'm not enjoying it but I am glad we don't have snow and ice! That soup looks amazing and perfect for a cold day! Enjoy your visit with your daughter. I love that she already has a list of places to visit and eat! A media blackout sounds pretty good. I think I might try that as well. I've felt far to scattered all week. Have a great week! Katherine - We have been visiting this are since the girls were very young, so they all have their favorite traditions. We like introducing them to the new places, too. Can't wait for her visit! Hope your weather improves! And love the spiny sea urchin! Pam - I blasted the heat for an hour or so this morning, too, but the air already felt much warmer when I took Zelda out. Will take a look at Songs of a War Boy, that sounds good. Today we're heading to Corkscrew Swamp, hoping to see nesting wood storks this year... too wet last year! It seems like many people are having trouble reading these days. I hope your cold weather is just a blip (it certainly is here, along the Gulf Coast of Texas), although the soup is a wonderful side benefit. I still think Florida sounds wonderful! 50 is warm this time of year in the Northwest! Your chili looks perfect for a cool day. 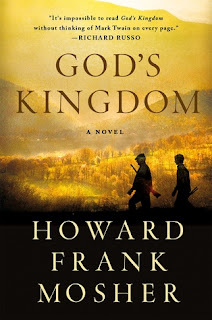 I'm curious about God's Kingdom. 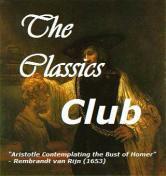 It's a book I've heard very little about. Susie - As a central New York native, I can't even believe I typed that 50s is cold for January! 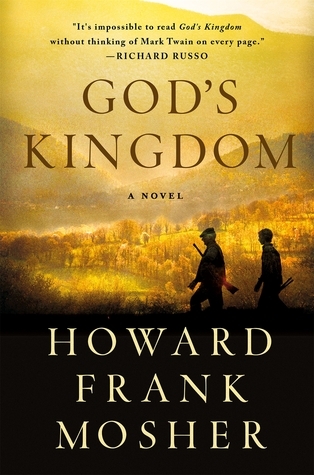 God's Kingdom came from Book Culture Selects, a Christmas gift from my daughter. It's both a new title and new author for me, so I couldn't be happier with the selection. I'll be reading this one slowly, a chapter at a time. Can I say that I'm jealous of your 50 degree weather?! I'm first in line for the audio of The Unwinding at my library, so glad to hear you thought it was well-done. Sarah - Yes, you can... can't even believe I consider that cold now! Hope you like The Unwinding, too. JoAnn, Zelda is a doll! Is she a greyhound, whippet? I've never got to be around those breeds. I've stopped watching the news. I try to check in once in awhile but it just depresses me. The anger, hatred and fake news is too upsetting for me. I use to be active and engaged, but something has shifted and changed in our culture and I'd rather not anymore. Sad. There's always books to disappear in! Peggy Ann - Zelda is a greyhound, but she is a very small one... probably the smallest I've ever seen. People frequently ask if she is a whippet. I think her size is one reason her racing career didn't last long. We got her before she turned 3. I can't believe that I'm even consider a day off from the news each week. I like to stay on top of current events and issues, but lately it's just too upsetting. It has been very difficult to focus on reading, and I need to listen to the news less...I'm seriously so overwhelmed with what DJT will do next. UGH. I love your beach walk photos....Zelda is so lovely. I've been cooking comfort foods to keep us warm...thin blood after been in FL for 33 years! Enjoy your daughter's visit..it's the best when the grown kids come to spend time. Anita - I've often wondered if your blood thins if you're down here long enough, lol! Being from central NY, it seems strange for me to complain about daytime highs in the 60s... but those temps sure feels colder here! What a lovely walking companion! I've taken quite a few media free days and plan on more to let my brain rest. Enjoy the big game this weekend with your daughter. I think a lot of us are suffering from poor concentration this past week. I know I am and I've barely moved my bookmark all week. A media-free day sounds like a good idea. So, it's cool there and warming up here. We were almost at 60 yesterday! Amazing. That soup looks delicious and I've printed the recipe to add to next week's menu. Have a great week and enjoy your daughter's visit! Jessica - I liked A Tale of Two Cities, but wasn't quite as taken with The Shack. Will be curious to hear what you think. Think I'll start my weekly media-free days this weekend. I haven't been around much this month... but have been reading your posts this week. I just had to say that I want that white chili asap :) ...appeals to me right now! I love anything remotely Mexican in cuisine and living in SoCal has reinforced my cravings and made them accessible. I'm not one for cooking with jalapeno peppers though, so I will just sprinkle some red hot chili pepper in it instead. Your greyhound is a beauty! We can't have a retired Greyhound because they won't adopt out to folks who have cats-- and we always have cats in our home-- but we do have an Italian Greyhound, 13 years old, and she's changed from fawn with blue markings to white/grey fur now. Is your dog getting older (re: color of muzzle) or is that her natural coloring? Have a wonderful week with your daughter! Rita - Zelda will be 10 soon and has been with us since she was 2. She was fawn/black when she was younger, but has slowly greyed over the years (like the rest of us!)... her muzzle used to be all black. It seems like such a striking change when we look back at old photos! Ooooh, I love Gimme Some Oven and that recipe sounds delicious! Thank you for the recommendation!